Sure, ordering takeout every night has served you well so far in life. The girls were impressed by that General Tso’s in college, so why stop now? For one, it gets expensive after a few years of your parents not footing that bill. Plus, you’ve made it to the 30-year mark, so it’s probably time to learn how to cook. Ease your way in with these 11 basic dishes. We promise the recipes are even easier than putting on your pants to answer the door for delivery, which is also something you should work on doing regularly if you’re over 30. It's the world's easiest breakfast, it's nutritious, and it's safer than chewing raw eggs and hoping the heat of your mouth cooks them. 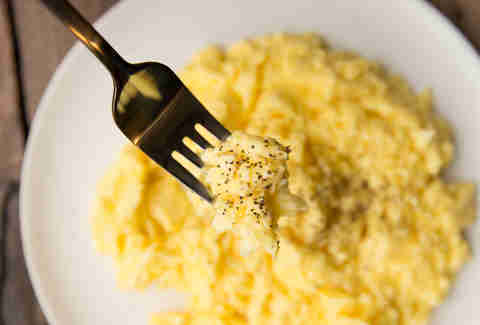 Here's how: Thrillist's in-house recipe genius Perry shows you how to make these perfect scrambled eggs in a 30-second video, and it only takes 10 minutes to make. Because while it's great out of a box, it's better when it's homemade. And this recipe is so easy you'll have no excuse. Here's how: The blender does all the work in this recipe from Smitten Kitchen. You just have to do the eating. If that's still too complicated, you can boost boxed mac and cheese with these 10 hacks. Even an idiot can boil water and make pasta. But not everyone knows how to make homemade tomato sauce. And it'll make that pasta taste a million times better. Here's how: Since making tomato sauce takes a little bit of elbow grease, we like this recipe from The Kitchn because it makes eight pints of the stuff, and teaches you how to choose the right tomatoes for it. Delivery pizza might be convenient, and frozen pizza might be even more convenient, but nothing beats the taste of homemade pizza. 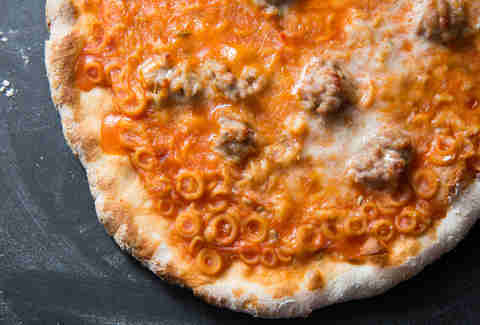 Here's how: We made a simple, delicious SpaghettiOs version that you can throw on top of this ridiculously easy, from-scratch dough. You can too. Buy a pizza stone and block out an hour for the most delicious pizza you've had outside of these places. You could pay a billion dollars for a steak in a restaurant, or you could just grill one yourself. We opt for the way where you don't pay a billion dollars and you get to use your grill. Here's how: Iowa Girl Eats has a simple strip steak recipe that only uses a few ingredients that you definitely have in your pantry already. To make things even easier on you, she even recommends pairing that steak with steamed broccoli. Fancy dinner in a few minutes! It's good for you. And if you're cooking for someone else, it will make it look like you put more time into cooking than you actually did. You trickster, you! Here's how: Any recipe that requires you to put something in an oven and bake it is a recipe we love, and we really love Well Plated's balsamic-glazed salmon. It doesn't get any easier to make dinner. Five ingredients (including chicken). One hour. Done. 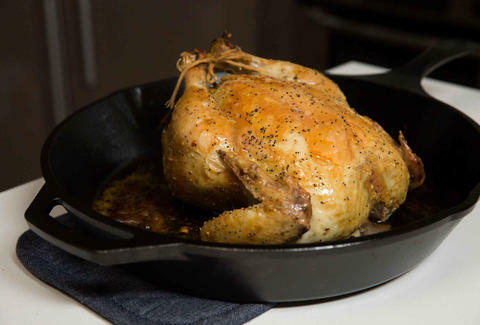 Here's how: You don't even need a roasting pan for this skillet recipe, but if you want something even easier, we've got you covered with eight ways to make roasted chicken in a slow cooker. Not only is it a great dip for parties (even parties of one), you can throw that avocado-y goodness on basically anything. Here's how: Chipotle released its guac recipe, and you should make it just so that you can experience their guac without paying extra. You're already going to make the tomato sauce from earlier, so you might as well have something to pair it with. Here's how: The Slow Roasted Italian's herb-packed meatballs are baked, and the hardest task you'll have is to "mix." Burgers are everywhere. 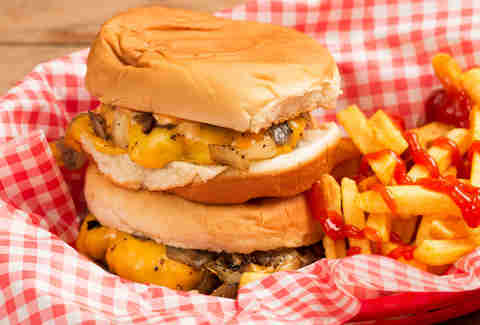 But perfect old-school diner-style burgers that give the right balance of meat, oozing American, sauce, and bun? Not so much. 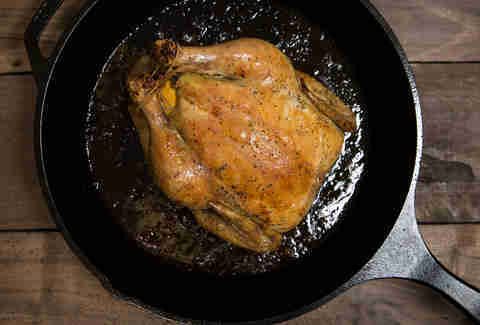 Here's how: We have a step-by-step guide based off one of our editor's childhood favorites. Snacks should be one of the food groups, plus that fresh-baked cookie scent can make even the most disgusting bachelor pad seem at least a little bit inviting. Here's how: By subbing your favorite sugary cereal for nuts or chocolate chips, you probably won't even need to go to the grocery store to make our cookie recipe. If you don't dip the cookies into milk when you're done, you will have wasted your life. Lee Breslouer is a senior writer for Thrillist and thinks you should make all 11 of these recipes today. Follow him to perfect tweets about nothing at @LeeBreslouer.